A nephew of mine, Jayasimha Yashas, who teaches in a government primary school in Chennai/Madras while on two years’ sabbatical working for one of India’s foremost IT companies, invited me to speak to his young charges while I was in that city briefly a few months ago. My Chennai visit was at the invitation of V. Suresh, National General Secretary of the People’s Union for Civil Liberties, one of the foremost activist groups in India affirming human rights and – given that the right to life is inalienable – opposing the death penalty. 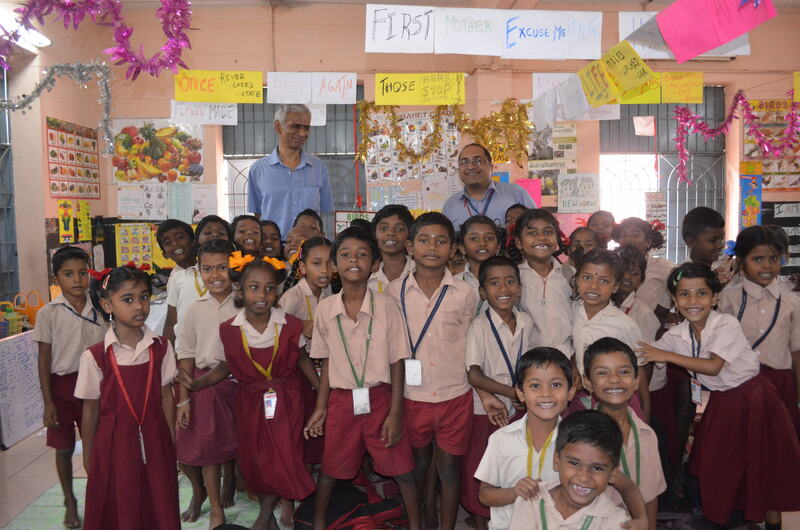 And so, while addressing my nephew’s students – although aged a mere seven or eight – human rights were uppermost in my mind. With the kind permission of their teachers, and since I had just attended two days of meetings of human rights groups from various parts of the country to discuss ways to promote the abolition of the death penalty (and condemn the anti-Tamil genocide in Sri Lanka), I chose to focus on that topic. 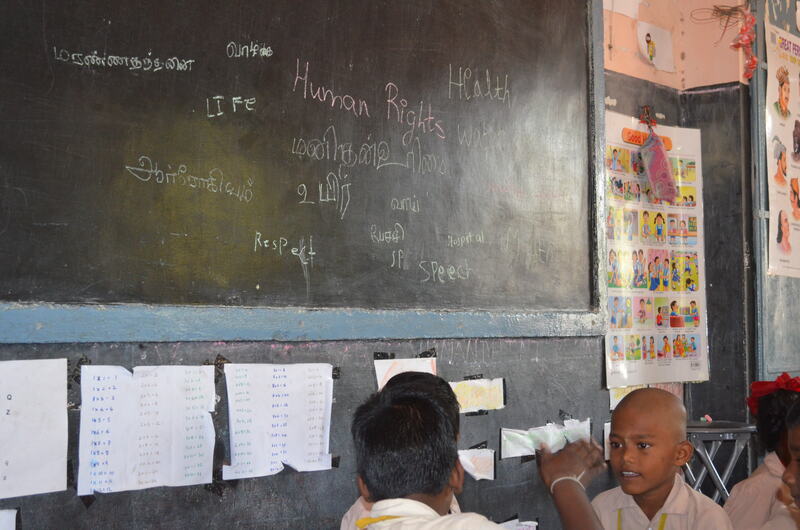 Asked whether the children, aged 7-8, had heard of the words “human rights” (manidha urimai, மனித உரிமை in Tamil) they predictably and understandably said no. So another approach was called for. “Air” said a few of them in English. (That hour, the kids were expected to be speaking in English and so both languages were featured). Air, or clean air. In a way they were, without knowing it, expressing something people far away were writing about too. But the kids did not mean that in the sense of a human right to clean air. Just that everyone needs to breathe. “Water”, and later, “food”, “education” ( padippu, படிப்பு) and “house”. Yes, yes, yes, yes… Indeed, all of these figure in international human rights declarations and treaties as well as in national constitutions. “Hospital” said one of the kids as they got into the spirit of the conversation. It did not take long to make the connection to another basic right: “health”. “Mouth” (vaai வாய்) said one child. Ah, interesting. What do you use that for? Yes, the right to free speech and by extension, freedom of opinion. Unbeknown to them, the young ones were articulating the provisions of a precious, identically numbered, article in the Universal Declaration of Human Rights (UDHR), the International Covenant on Civil and Political Rights and the Indian Constitution so dear to so many of us: ARTICLE 19. “Respect”, one of the children said in English. With my extremely limited Tamil, I was unable to probe further but the word “respect” – I wonder whether that child had heard the word because it is well known to members of oppressed castes in Tamil Nadu as it was beloved of Periyar E.V. Ramasamy Naicker who founded the “Self-respect Movement” – is closely related to “dignity”. The very first line of the preamble to the UDHR uses the words “inherent dignity”. That child was on to something. It is possible that many or most of the children in that class would by now have forgotten the issues discussed. But some seeds lie buried and sprout in a wild season. I hope that among at least one or two of them, there will be a flowering of the ideas from that brief conversation. Before concentration flagged, I wanted to get on to my pet concern. After a minute or so, came the response: “Life”. Thus we came to the death penalty (maraNa dandanai, மரண தண்டனை). If I recall right I mentioned the names of Murugan, Santhan and Perarivalan – those convicted in connection with the assassination of Rajiv Gandhi. A lot of Indian media houses refer to them as “Rajiv killers”. Technically that is totally wrong. And Mr Perarivalan, at least, is almost entirely innocent of any role in the wider conspiracy. Does anyone have a right to take your life? What if a judge orders that someone may be given maraNa dandanai? But you just said no one should take anyone’s life. Case closed. Eventually end of class. Subject of a major new United Nations Publication, “Moving Away From The Death Penalty” with a Chapter on India by noted legal scholar Dr Usha Ramanathan: http://www.ohchr.org/Lists/MeetingsNY/Attachments/52/Moving-Away-from-the-Death-Penalty.pdf. >>It is possible that many, if not most or all, of the children in that class would by now have forgotten my visit and the issues discussed. But some seeds lie buried and sprout in a wild season. I hope that among at least one or two of them, there will be a flowering of the ideas from that brief conversation. Indeed. The idea was to explore from what they already know.